This title is suitable for children aged 4 to 8 years old. Chili's good, so is barbecue, but nothing's finer than Fandango Stew! No money? No problem! 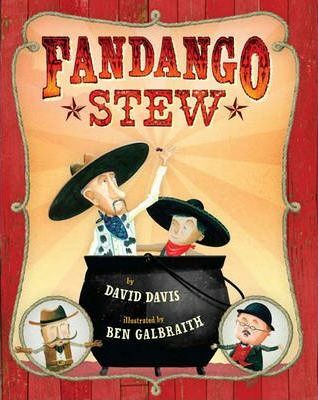 In this sunny, funny western-style take on the famous folktale "Stone Soup", two penniless but wily vaqueros (cowboys) trick a whole town into cooking a giant pot of stew for everyone to share. David Davis' deliciously colourful language and Ben Galbraith's delightful illustrations make this picture book a tasty confection. David Davis has written several children's picture books and has had titles named in Children's Choice Top 100 list. An active presenter at schools, conferences and libraries, David lives in Fort Worth, Texas. Learn more about him at www.davidrdavis.com. Ben Galbraith is an author and illustrator, he lives in New Zealand. Find out more at www.bengalbraith.co.nz.